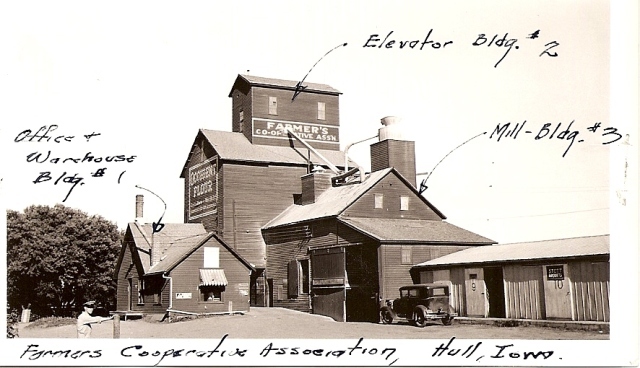 The Hull Cooperative Association began as a grain elevator in 1908 when a group of local farmers realized the need for a grain merchandising facility. 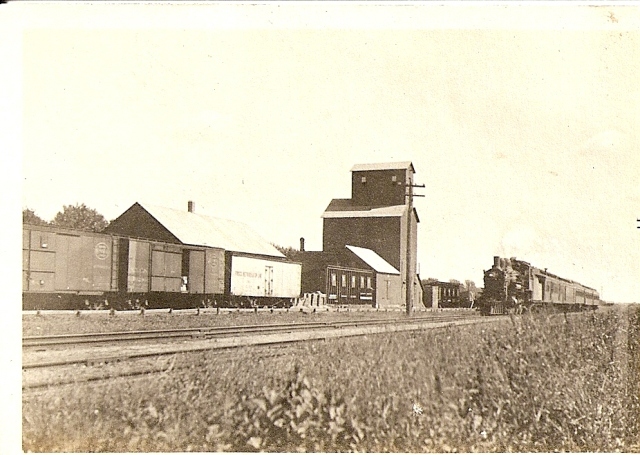 The white building on the left is the feedmill built in 1947. 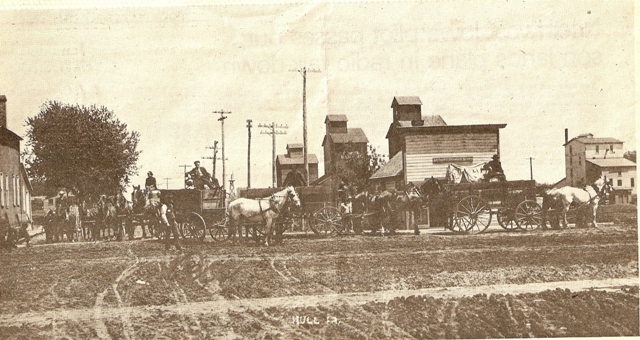 The other building is the original elevator purchased in 1908. 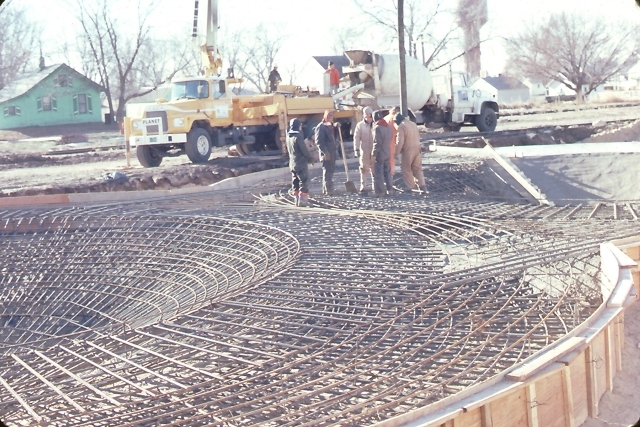 Foundation of the new concrete silos poured in 1979 soon after fire. 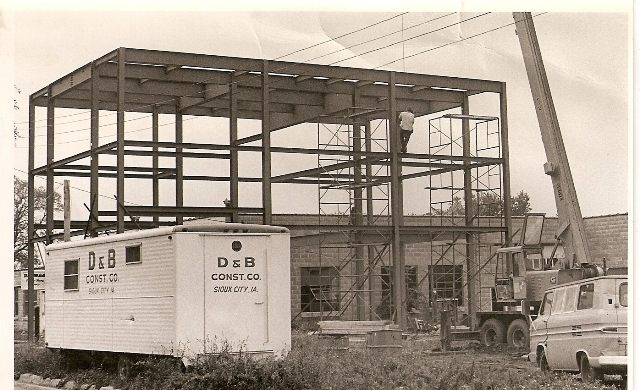 The foundations were poured in the fall of 1979. 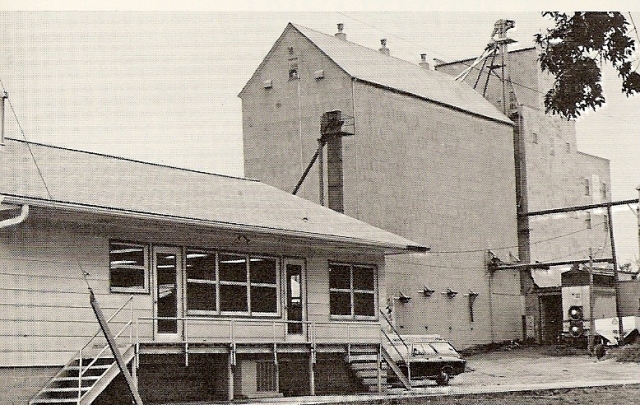 Crews finished construction in time for the 1980 harvest season. 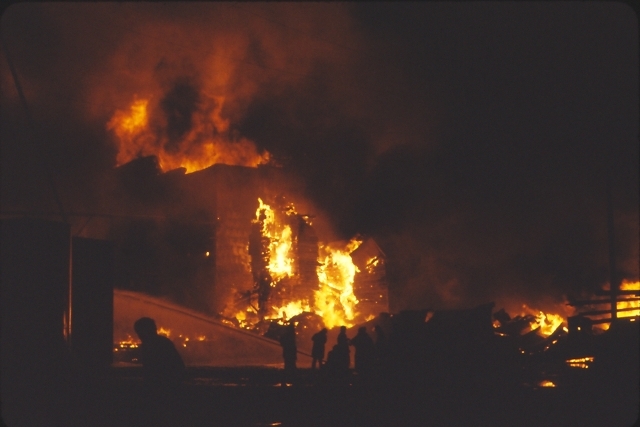 Controlled burn of the old lumberyard in 2010. 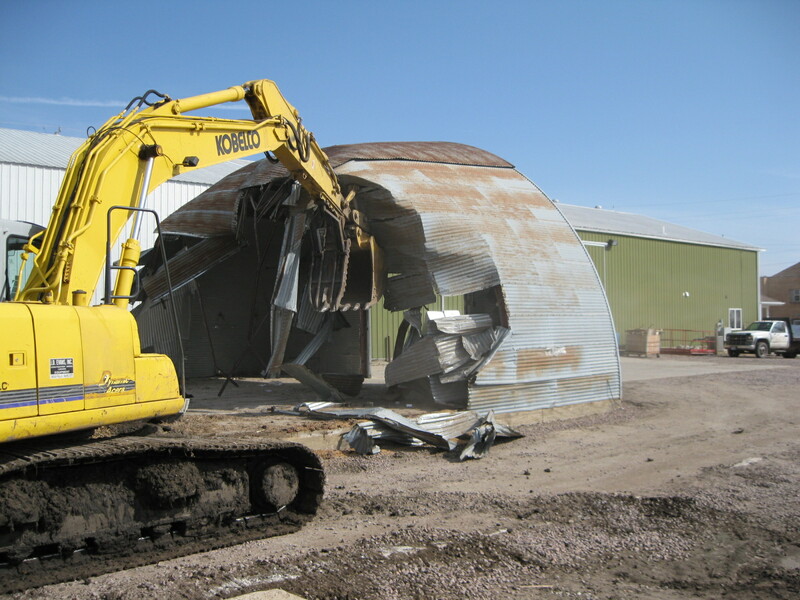 Demolishing the old quonset building by the lumberyard in the spring of 2010. Foundation for the new lumber storage shed. 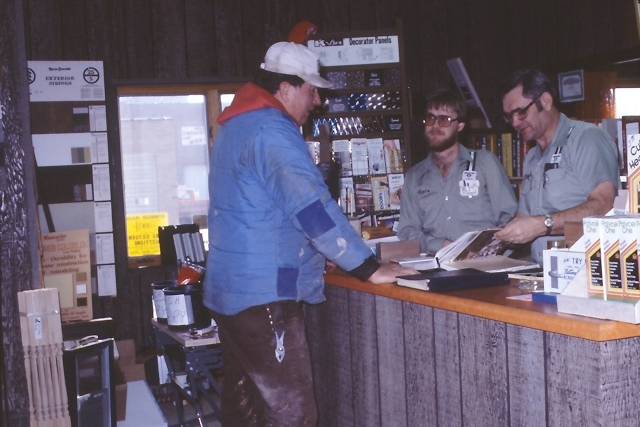 The new lumber storage building was completed along with some remodeling inside the existing lumberyard retail area in the summer of 2010. 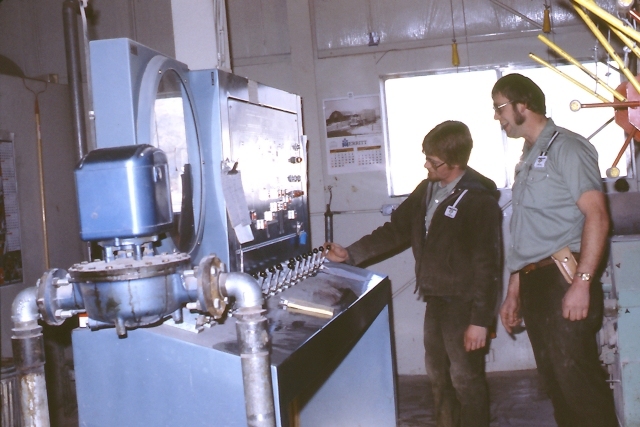 During the summer of 2011 we added another diesel tank and doubled the number of diesel pumps. 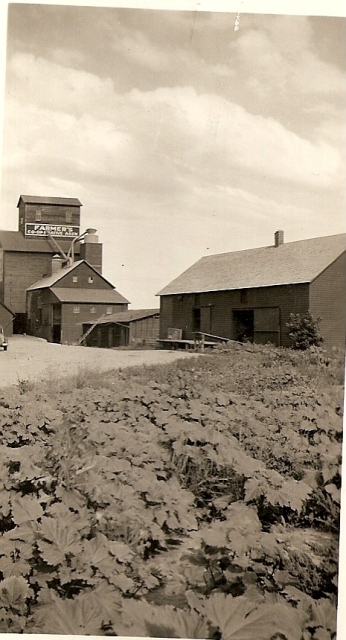 In 2013, we added a new (west) mill to accomodate our growing feed demand. 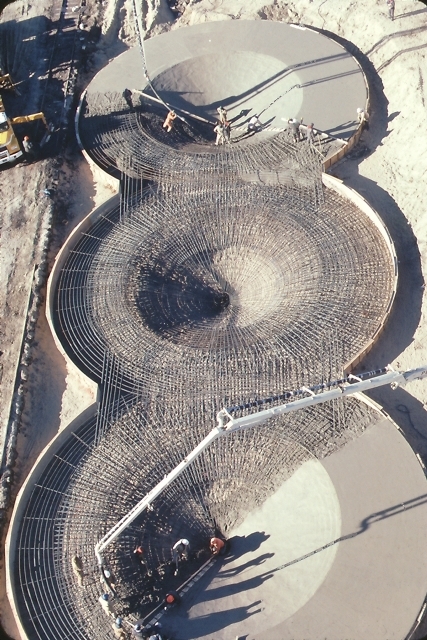 In the summer of 2015, we added an additional 575,000 bu. 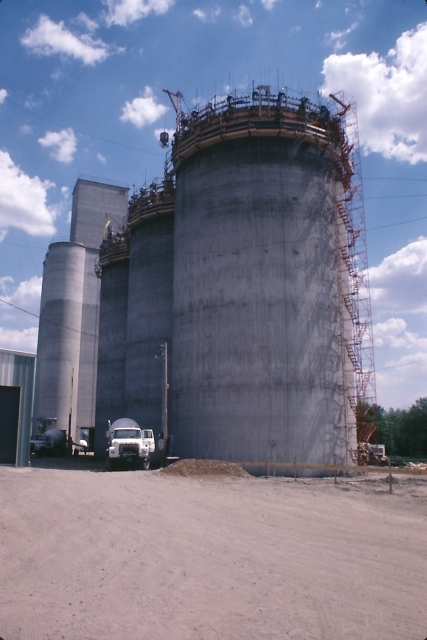 capacity soybean bin and 20,000 bu/hr recieving pit. 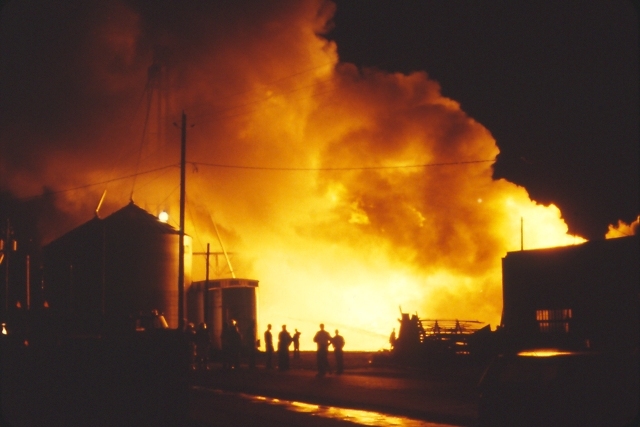 This the first of a long-term potential plan to build four bins on the site west of Cenex. 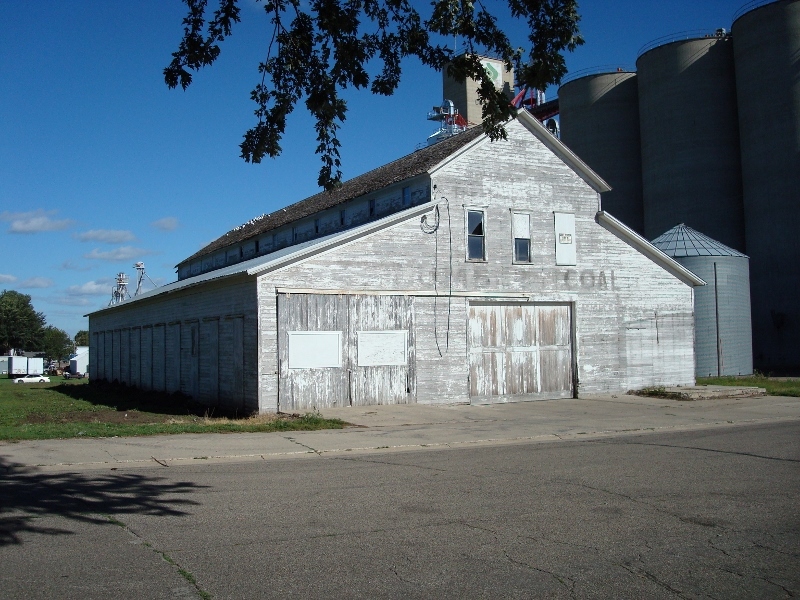 In 2017, an agronomy center was errected in the lot to the east of Cenex. 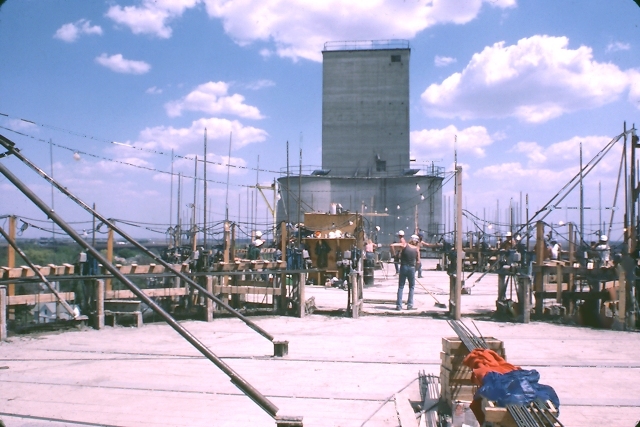 This facility is used for inventory storage, seed treatment, machine repair, chemical loading, and has a washbay for company-wide use. 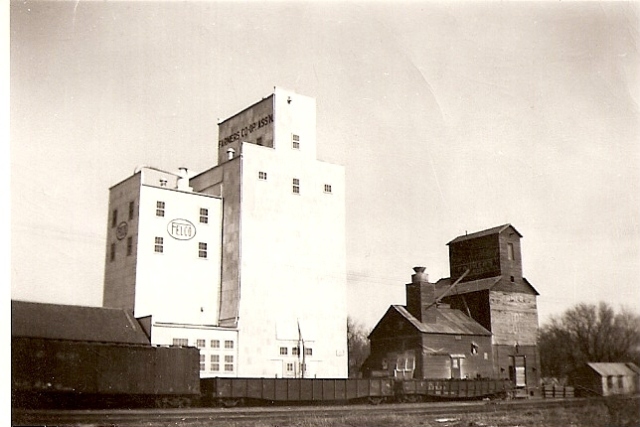 In the summer of 2018, a second 575,000 bu. 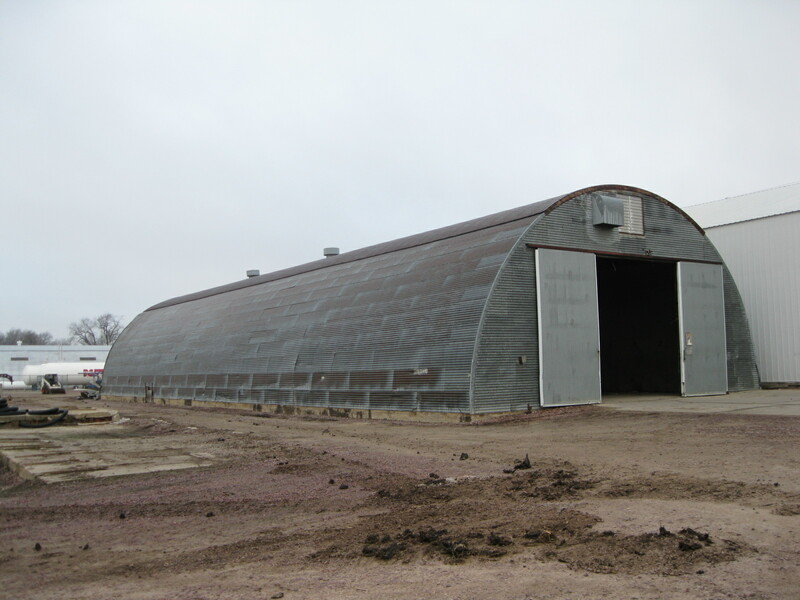 capacity bin intended to be used for corn storage was constructed just to the south of the 2015 addition. 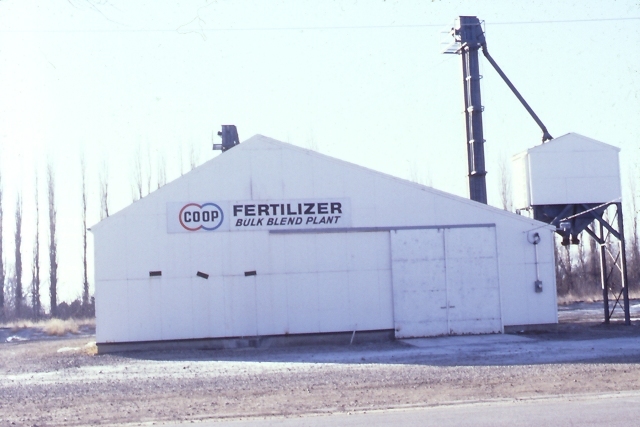 The Hull Coop logo was updated in fall of 2018. 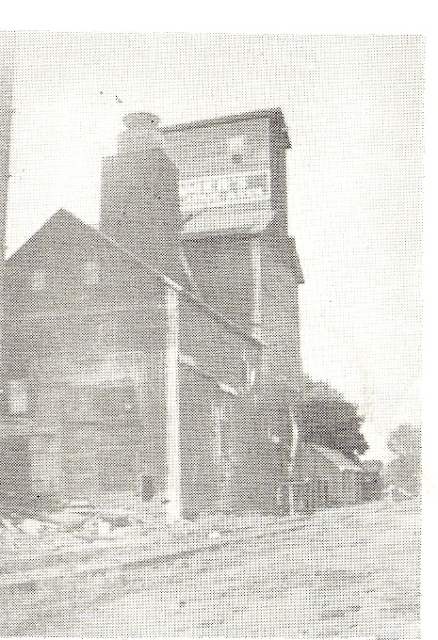 The goal of the transition was to come up with a logo that was more concise while still communicating the values that Hull Coop employs in working with member owners.